ATTENTION! THIS IS AN ACTUAL VIDEO FOOTAGE OF THE ROBBERY WHICH TOOK PLACE DURING REHEARSALS OF THE MISS PHILIPPINES EARTH 2016 BEFORE THE CORONATION. 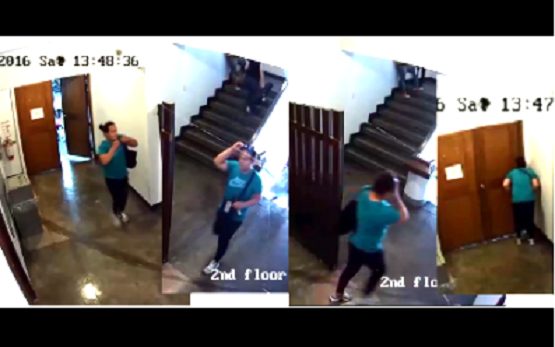 THE MAN IN THIS VIDEO WEARING AQUAMARINE SHIRT ROBBED THE MISS PHILIPPINES EARTH 2016 CANDIDATES OF THEIR BELONGINGS. IF YOU RECOGNIZE THIS MAN PLEASE REPORT TO US SO HE CAN BE APPREHENDED IMMEDIATELY. PLEASE SHARE THIS VIDEO FOR HIS IMMEDATE CAPTURE, SO THIS WILL NOT HAPPEN TO OTHERS. THANK YOU. BABALA: ITO ANG AKTWAL NA PANGYAYARI SA NAKAWANG NAGANAP NOONG MISS PHILIPPINES EARTH 2016 CORONATION. ANG LALAKING NA NAKA SUOT NG AQUAMARINE NA PANG TAAS NA NASA VIDEO AY MAKIKITANG NAGNAKAW NG MGA PERSONAL NA KAGAMITAN NG ILAN SA MGA DELEGADO. MAAARING IPAKALAT ANG VIDEO, SALAMAT.